Good News is that Parchcraft Australia are bringing our some new Flexigrids, these are circular and Oval. If you are lucky enough to already own their Straight and Diagonal Flexigrids then you will be certain to like these as well! The new grids are on their way to us as this email goes to press, so they should be arriving in the UK very soon. Be sure to order yours early! 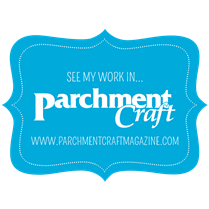 New Parchment Craft Kits coming soon! Watch this space!